Noise cancellation is a technology by virtue of which unwanted sound from the background is blocked to deliver you with a perfectly serene music listening experience. 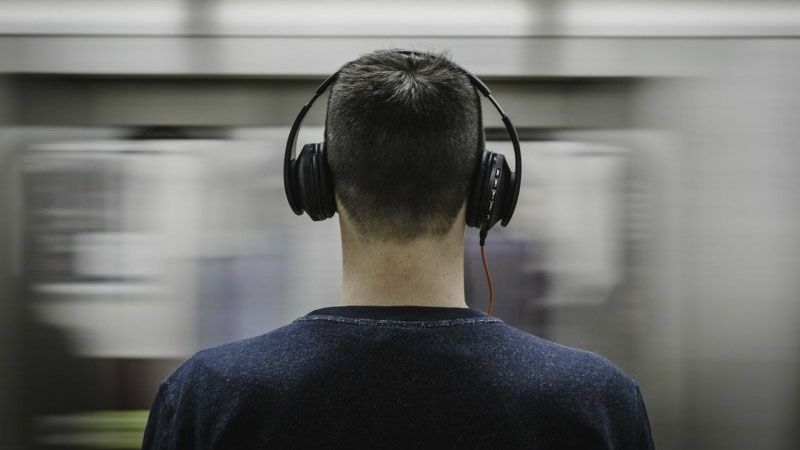 Noise cancellation is one of the biggest selling points advertised by established brands for marketing their premium segment headphones and earphones. In this article, we’ll take a deep dive into this, just to make you understand how does noise cancellation actually work and is it worth paying the premium for. Without further ado, let’s begin this explainer article with a short background study on sound characteristics. The sound is defined as the audible vibrations which pass through a medium as pressure waves. Human ears are capable of picking up these vibrations between the frequency range of 20 – 20000 Hz. It doesn’t mean that there are no sounds with higher or lower frequencies, but they are not simply possible for our human ears to perceive. These sounds above 20000 Hz are known as ultrasound and those below 20 Hz are called infrasounds. Noise isolation works by virtue of the design of your headphone or earphone. Headphones with closed back design cover the entire ear inside the earpad cushion, forming a physical barrier for the sound waves to enter or leave the auditory canal. 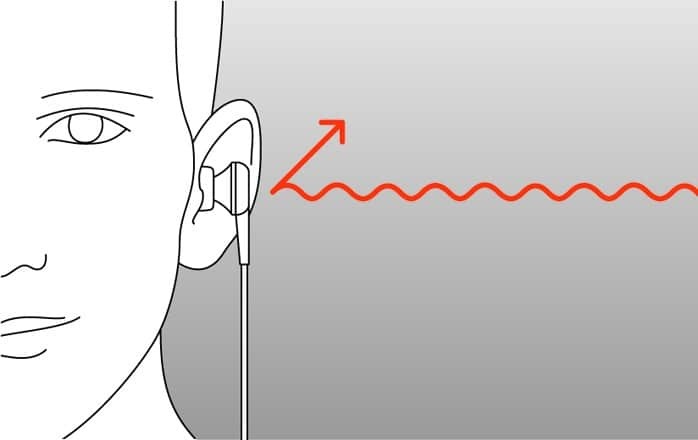 In the case of earphones, noise isolation effects are more prevalent in canalphones where the earpiece is placed inside the ear canal for better acoustics. The main advantage of audio equipment with noise isolation feature is that they aren’t as expensive as active noise cancellation gadgets. Most of the budget earphones and headphones come equipped with this feature. Headphones and earphones with noise isolation work well for the price, but the physical design in itself may cause ear fatigue. Also, these devices work well for blocking trivial background noises but not all. You can’t expect a cheaper headphone/earphone with noise isolation feature to deliver pin drop silence in the outdoors. 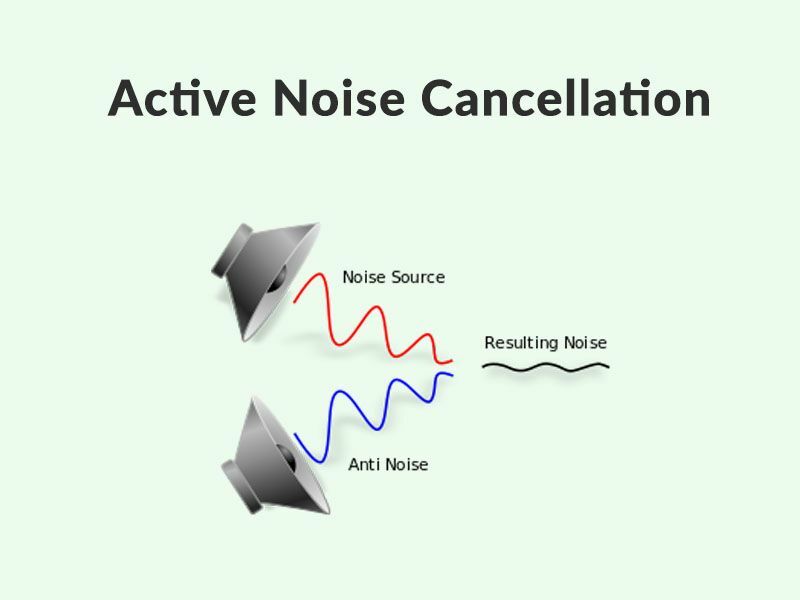 Active Noise Cancellation is a form of noise cancellation brought about by the combined effect of microphones, a dedicated sound processor and the related noise cancelling circuitry. 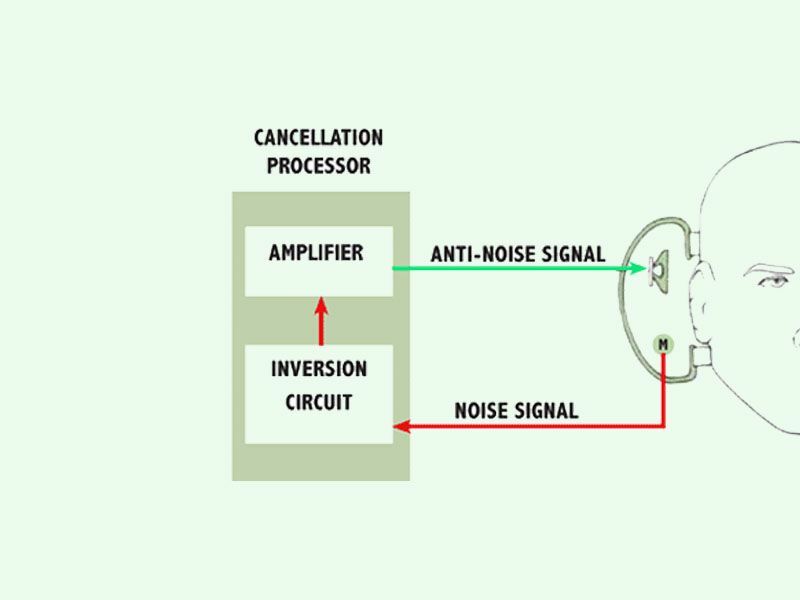 Here, the unwanted sound (noise) is cancelled by the addition of a specifically designed second sound. Your headphone/earphone already comes with a microphone, provided your gadget supports hands-free calling. These microphones can be found on the inline remote in the case of a wired device or embedded on the earpiece in case of a wireless device. But with the active noise cancellation setup, multiple microphones dedicated to capturing ambient background noises comes standard. The captured background noise is then fed into the noise cancelling circuitry which comprises a sound processor. This processor identifies the amplitude and frequency of the noise and generates a new wave which 180 degrees out of phase with the noise wave from outside. All this happens in real time with only micro-second delays within capturing, analysing and creating an out of phase wave. The speaker is the most important component of a headphone/earphone which converts the electrical signal into the sound output. Along with the music playback, the noise wave and the newly created out of face wave is fed into the speaker. The noise wave and the newly created wave cancels out, leaving the music to play without any distractions. How Efficient is the Active Noise Cancellation? There is nothing like a 100% perfect noise cancellation technology existing right now in the market. Brands usually advertise ANC with certain numbers are thrown to prospective customers face, which in most cases is of no use to an average consumer. Yes, ANC technology keeps the background noises in check up to a large extent. It is very useful in blocking low-frequency sounds but less efficient in attenuating high pitched sounds. 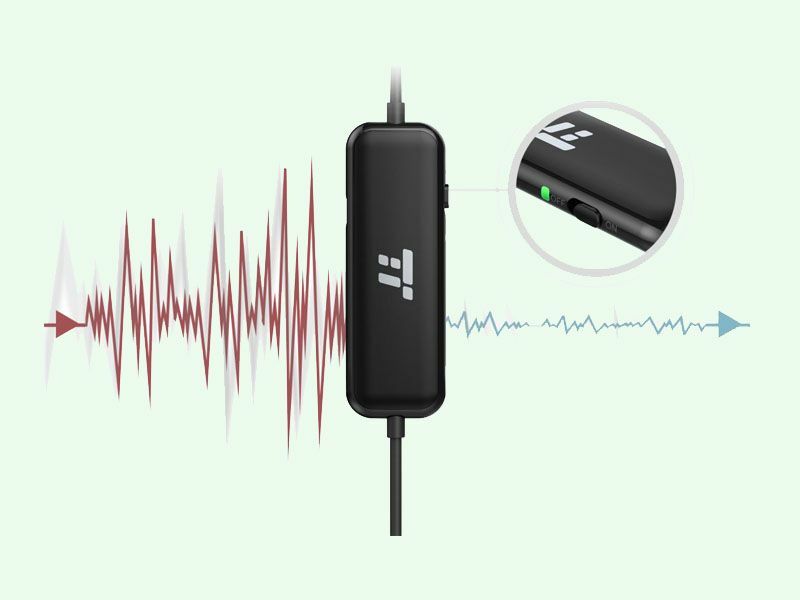 ANC headphones/earphones work best while being in an environment with a constant noise relay such as inside an aircraft, train, near to a working generator or even at the office under a noisy air conditioner. Can ANC headphones/earphones be used for noise cancellation without playing music? Some headphones allow this function to let you work in peace with the dedicated serene mode operation. Is it Really Worth Spending the Premium for an ANC Headphone/Earphone? If you travel a lot and would love listening to music during your long trips, yes it’s definitely worth the money. If you love to work in a quiet environment without any distractions, purchasing a compatible ANC headphone might work in your favour. If you are a casual user with most of the time listening to music indoors, no it isn’t necessary for you to invest in an expensive ANC headphone/earphone. This concludes our explainer article for detailing about the noise cancellation technology found in the headphones and earphones. We hope you have learned something new from this write up which can be oiled up in the future while purchasing a headphone/earphone for yourselves.